Though Motorola has announced plenty of phones with small bezels – with more seemingly on the way – it’s so far avoided the trendy iPhone X-style display cutout. Until now; a leak by Android Headlines suggests Motorola is working on a notch-tastic phone called the Motorola One Power. The leaked image shows a phone with a rather obviously Apple-inspired design; it looks like an iPhone X and iPhone 7 had a baby. It has a metal back, but vertically aligned cameras. There are thin bezels throughout, although there’s a substantial notch up top and thick lip at the bottom. Meanwhile, the fingerprint sensor appears to be housed on the Motorola logo. Also, did you notice something unusual? 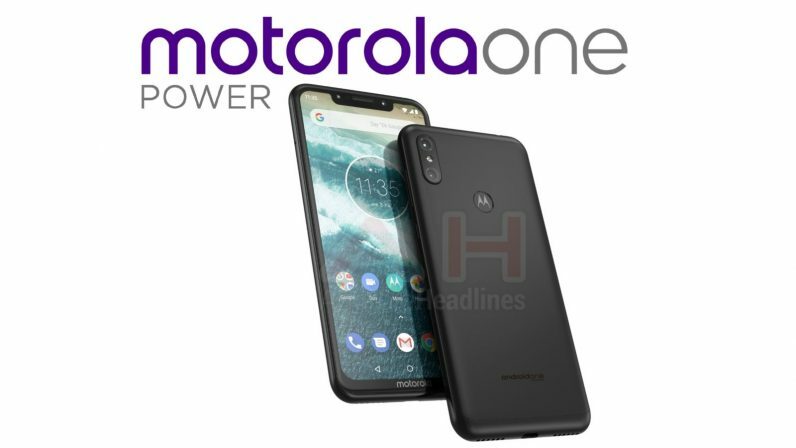 It’s called the Motorola One Power, not the usual Moto branding the company has been using since 2013’s Moto X. It’s not clear why the company is bringing back the old name, especially as the company just released the Moto G6 and is expected to announce the Moto Z3 soon. Android Headlines points out Lenovo (which owns Motorola) has gone back and forth between the names; and I wouldn’t be surprised if the longer form sticks it out in the long run. There’s no telling when this device will hit the market, but given the Moto Z3 is thought to be right around the corner, I’d bet it would be later in the year.